Using a Payroll Software in Dubai or a Payroll Management Software in UAE will definitely save you time and money. This will allow you to focus on your business. You don’t have to be a Payroll Processing expert to use the software. You will need to buy an end-to-end system incorporating your company requirements. Following are the eight components that are going to help you discover how you can choose the best payroll solution. Offline or Online Payroll: You can choose from two types of payroll software – offline or online software. Choosing one solely depends on your business type, your working mode, and preference. Offline payroll is installed locally on your computer. You won’t need an internet connection to access your payroll data. With offline payroll, you will have a flat purchase price, and only pay for future upgrades. If your PC/laptop is destroyed, you will not be able to access your Payroll Processing, Payroll Hold, Pay slip, Trail Payroll, Payroll Reports data. Online payroll, also called as cloud-based payroll software, help you to access it anywhere and anytime. You just need an internet connection and your login credentials. This type if HRMS Software in Dubai, UAE, and/or Abudhabi is advantageous if you are always travelling. With cloud-based payroll software, you get to retrieve your data from many devices. You can log in on a computer or on your mobile/tablet. Initial/Recurring Costs: How much do payroll software cost in Dubai, UAE, and/or Abudhabi? As a business proprietor or company’s management, you most probably are not looking to spend money to buy whatever is promoted to you. You are looking for affordable services which get the tasks completed. When determining on the HRMS Software in Dubai, UAE, and/or Abudhabi, the cost is one of the main factors. The Business Software Provider in Dubai, UAE, and/or Abudhabi should not charge you hidden costs/fees. You might have overlooked them during the initial HR Payroll Software cost examination. You don’t want to quickly select a Payroll Solutions provider and later notice extra costs you didn’t know of. There are different pricing models. Always read the contract and understand the full extent of what is included. Add-ons or Modules: Cost is an important factor, but you want the Payroll Management Software to perform to your requirements. Every business is different. The Best Payroll System for Dubai, UAE, and/or Abudhabi should be able to incorporate your business requirements. The Best HRMS Software in UAE should not be different from the Best Payroll Software for Dubai. Service and Support: When using a payroll system, you have got to have control over it. You need to feel comfortable when you get questions. A payroll system should have effective support to help its users. Most payroll solutions have customer support consultants. Most payroll software vendors help in setting up your system. Support is the second most important item in your checklist, compare support provide by different vendors. Your Payroll Management Software vendor should provide phone and/or online support. Learning Curve: Choosing a payroll solution that is easy to understand and use is the third most important thing while selecting a payroll system. Many payroll solutions need some level of prior working knowledge to use them. Take a trial so that you are able learn to use the payroll solution before buying it. Purchasing the Best HRMS Software involves a low learning curve; this results in money and time savings. Trial Period: Most payroll solutions in Dubai, UAE, and/or Abudhabi have trial periods to let the user get a feel of the software. A trial period allows you to gauge precisely what you are buying. Check the payroll solution you are contemplating to see if it has a trial period or not. This lets you determine whether the Payroll Management Software is the right one for you. Security: Security is the third major factor when selecting a HR Payroll Software in Dubai, UAE, and/or Abudhabi. You do not want someone to gain unauthorized access to your employees’ personal data? It is a nightmare for management and workers. Always ask how the Payroll vendor secures the data. Any payroll solution you choose should have high-grade encryption, as is bank software. Contract: Ascertain if the Payroll Solution has a contract or not. Payroll solutions don’t necessarily have one. Before selecting a HR Payroll Solution, check if there is one. Before entering into one, make sure the HRMS Software fits all your requirements. Sometimes there might be an early termination cost. You should choose payroll software that has no contract. You will be able to cancel the vendor and select another one when needed. 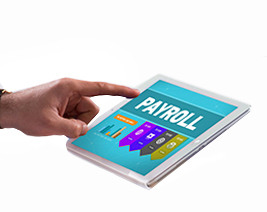 You need to make sure that the Payroll Software has Payroll Processing, Payroll Hold, Payslip, Trail Payroll, Payroll Reports function in it. Select the best Business Software Provider in Dubai, UAE, and/or Abudhabi, and that they provide Employee Attendance and Leave Tracking as a built-in function. You should also make sure that Payroll Solutions Portal works in Dubai, UAE, and/or Abudhabi. The above points are the positives and negatives when choosing a Payroll Management Software in Dubai, UAE, and/or Abudhabi. Always make sure it fits your requirements.